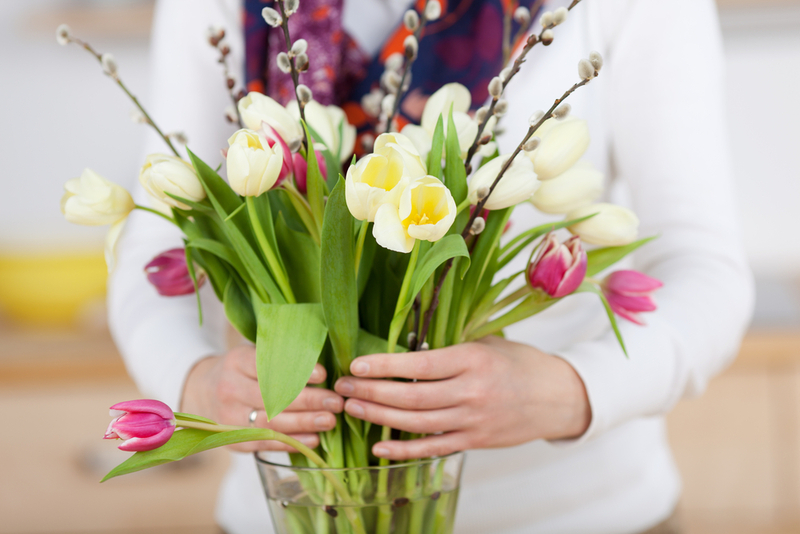 Build Your Own Spring Bouquet With These Basic Floral Arranging Tips - Planned Property Management, Inc.
Can you believe spring is almost here? It seems like just yesterday we were scrambling to stay warm from the Polar Vortex. But the spring season begins on March 20th, and whether we’re ready or not (we are! ), it’s time to get into the springtime headspace. Blooms are a true highlight of the spring season. And the best way to bring that “spring fever” into your home is with some fresh floral arrangements. 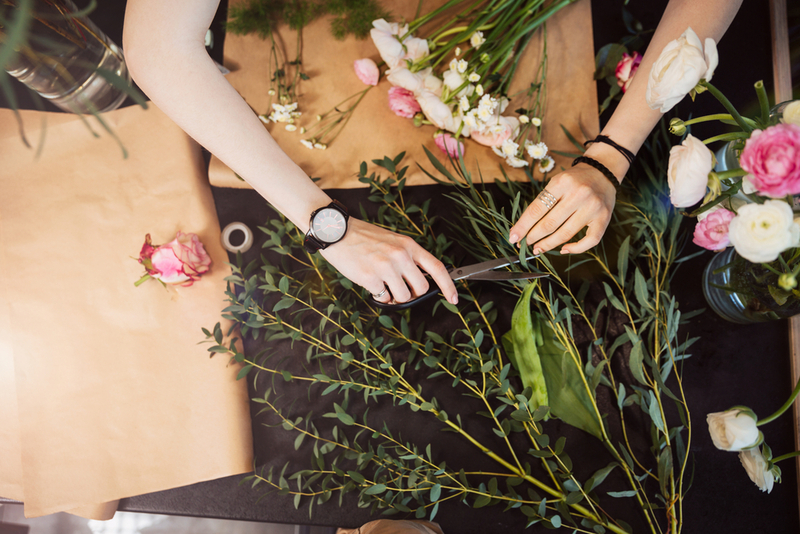 Instead of reaching for a grocery store bouquet or picking up a pricey professional arrangement from a florist, why not try putting together a bouquet of your own? 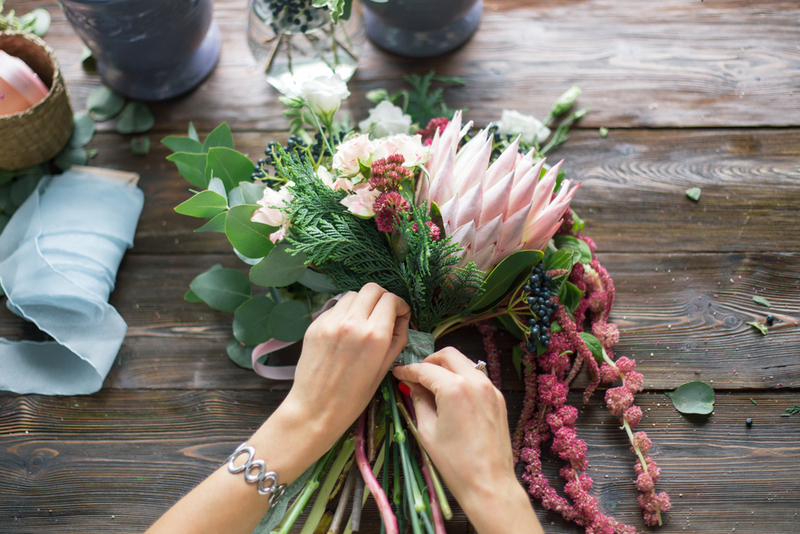 If it sounds, intimidating, don’t be nervous–we’re sharing some basic tips that will lay the groundwork for you to build yourself a beautiful bouquet. If you’ve always wanted to give floral arranging a try, now is your time to shine. 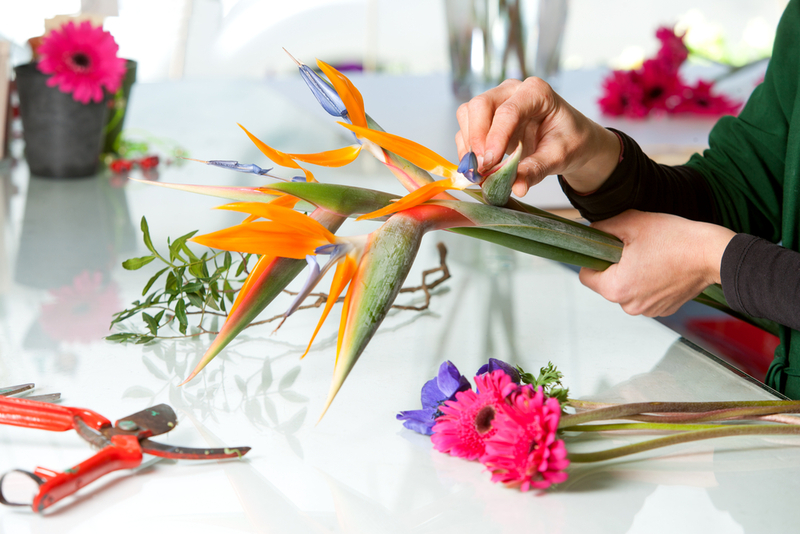 Before you begin arranging your florals, be sure to cut the stems at an angle so they can properly hydrate. You can take it a step further by gently “mashing” the ends of the stems, which can help them soak up water more efficiently. 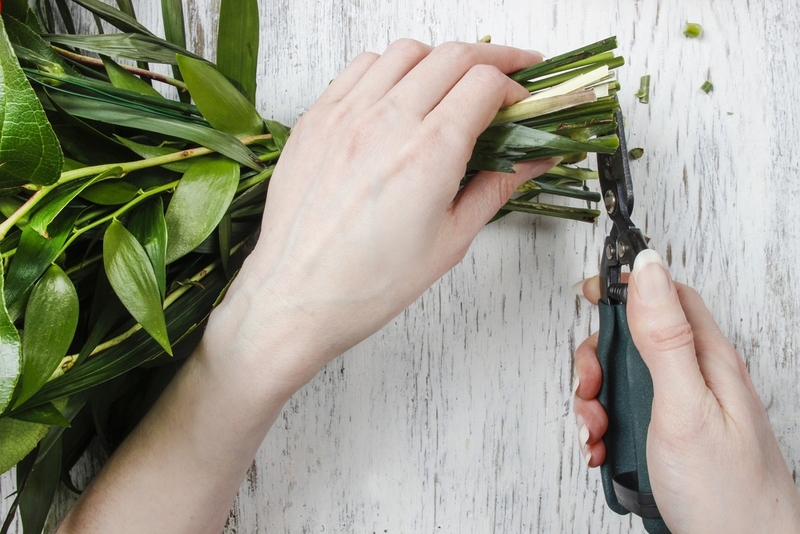 Next, you’ll want to remove any leaves from your flower stems. 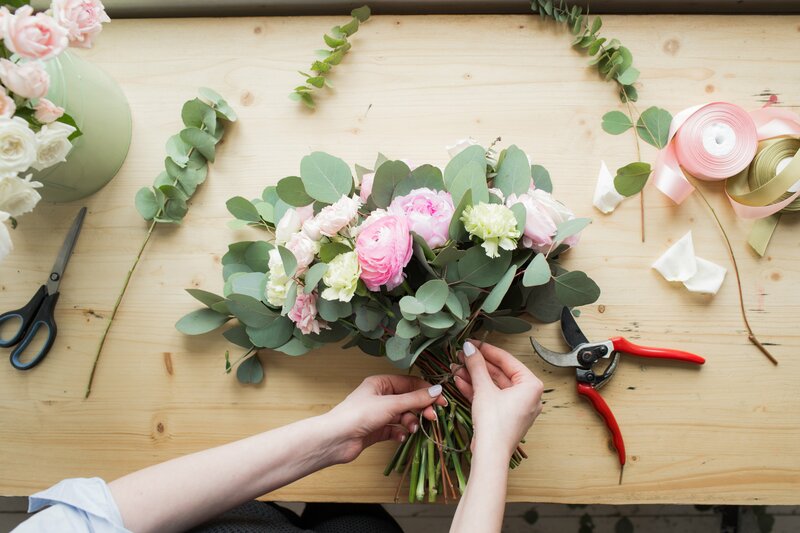 Leaves can carry harmful bacteria, so it’s best to strip them off before building a bouquet. If you want to leave some for aesthetic purposes, just make sure none remain below the water line. This is not the time to start small. 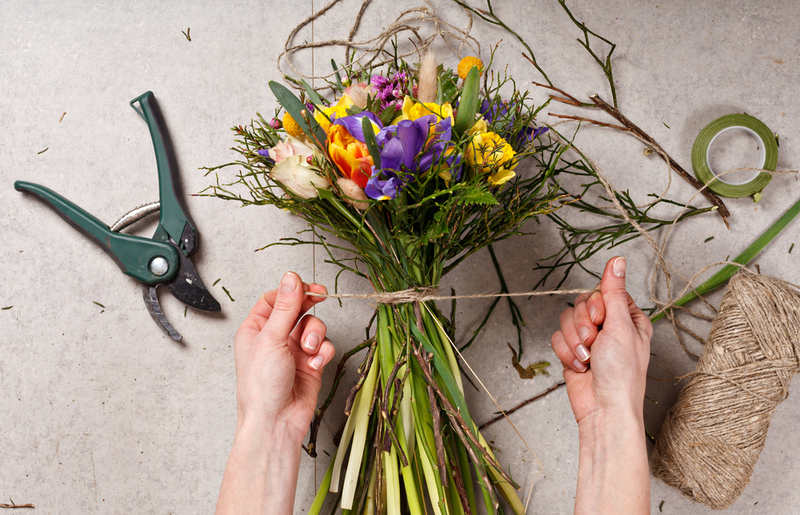 When it comes to building a bouquet, you’ll want to start with the tallest flower first. This will determine your bouquet’s height so that you can build the rest of it around that point. Textures: Use the rule of threes to determine three textures you want to feature in your bouquet. Then stick to those three as you build it. Sizes: Choose three different sized flowers for your bouquet to create an interesting arrangement. Colors: Choose three colors and build your bouquet with various shades of those three hues. As a general rule, you’ll want to choose a vase or a container that’s about one-and-a-half times taller than your bouquet. If it’s too short or too tall, your bouquet won’t look it’s best. Finally, keep your bouquet in place by securing it. Use a rubber band or tie a piece of twine around the stems to hold everything in place before placing it in your container. Looking for your very own Chicagoan apartment? Book a tour with us today and let us match you with your next home.